I couldn’t find a proper translation for the Dutch word ‘portiek’. It is usually translated as ‘porch’, ‘portico’ or ‘veranda’, but that is something of an extension to a building. A ‘portiek’ is a community stairwell used by inhabitants to reach their apartment. There are many of them in The Hague, build inwards like a shelter, probably due to the awful Dutch weather. 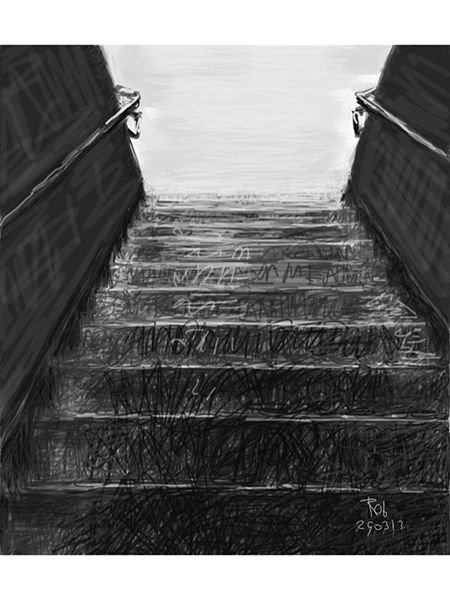 From outside sparse light bounces against the stairs. This entry was posted in Abstract, Figurative, Landscape, Still life and tagged art, city, culture, drawing, fine art, home, house, image, ink, iPad, living, painting, sketch, The Hague on 29/03/2013 by robvandoeselaar. The beans are ready to be cut. 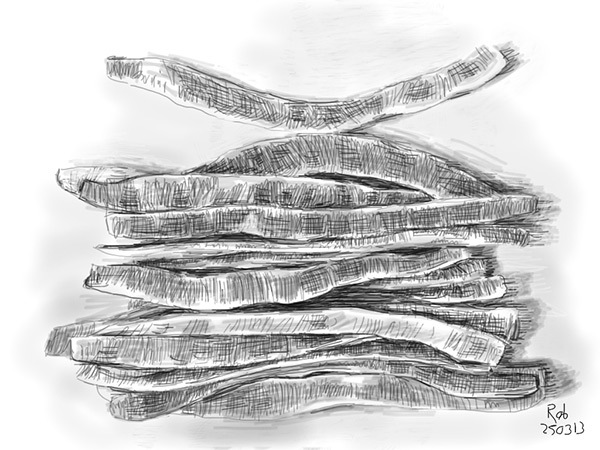 This entry was posted in Abstract, Figurative, Still life and tagged art, cuisine, culture, drawing, fine art, food, health, image, ink, iPad, nature, painting, sketch, vegetables on 25/03/2013 by robvandoeselaar. At a spectacular exhibition of ceramic artists Bertoni & Casoni in the museum Beelden aan Zee, the detail of the little bird that keeps the clothing of the daffodil mowing Mary together, had a poetic power. 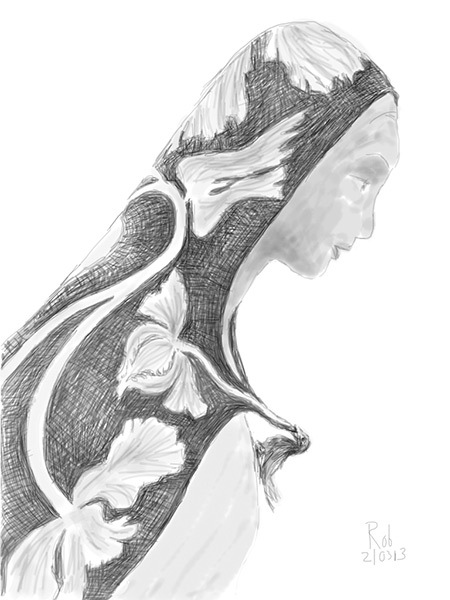 This entry was posted in Figurative, Portrait, Still life, Visual art and tagged art, bird, breast, ceramics, culture, drawing, fine art, image, ink, iPad, Mary, museum, painting, sketch on 22/03/2013 by robvandoeselaar. Last week experts have concluded that a painting long-believed to have been painted by a student of Rembrandt is in fact a self portrait by the Dutch master. Suddenly the painting has an estimated nominal value of 30 million dollar. 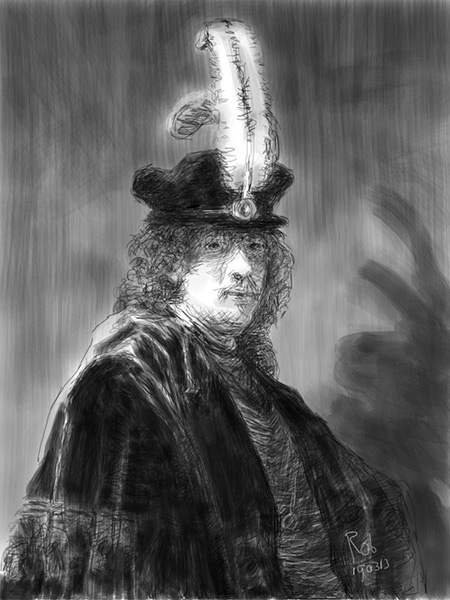 This entry was posted in Figurative, Portrait, Visual art and tagged art, culture, drawing, fine art, image, ink, iPad, painting, Rembrandt, self portrait, sketch on 20/03/2013 by robvandoeselaar. The beach at Scheveningen will be ready for the summer. 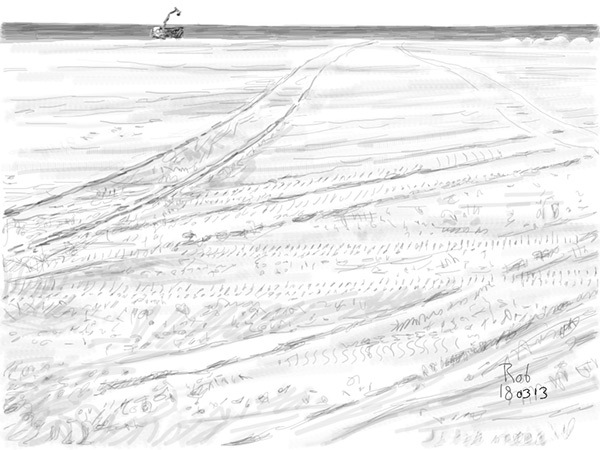 This entry was posted in Figurative, Landscape and tagged art, beach, culture, drawing, fine art, image, ink, iPad, painting, sand, sea, sketch on 18/03/2013 by robvandoeselaar. A cold wind was blowing up the cover of this classic car. It was an intimate moment. 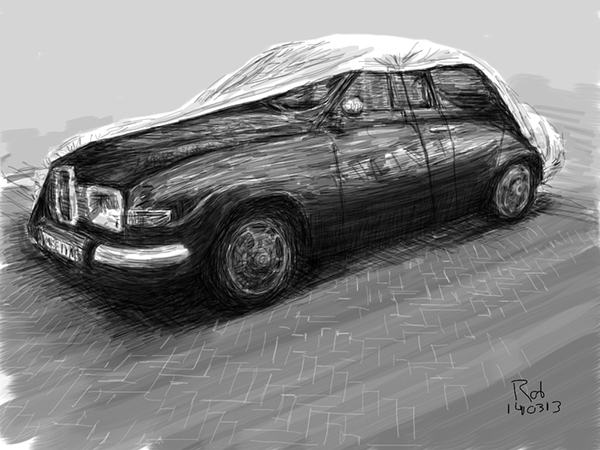 This entry was posted in Figurative, Still life and tagged art, car, culture, drawing, fine art, image, ink, iPad, painting, sketch, wind on 15/03/2013 by robvandoeselaar. This port is best known for the large number of good restaurants. 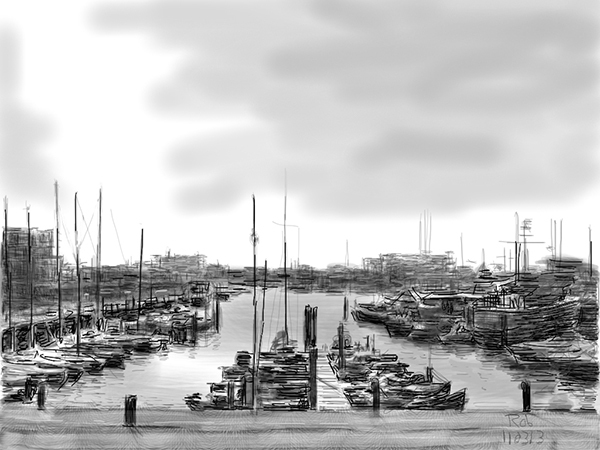 This entry was posted in Figurative, Landscape and tagged art, cuisine, culture, drawing, fine art, food, harbour, image, ink, iPad, painting, sketch, tourism, travel on 13/03/2013 by robvandoeselaar.